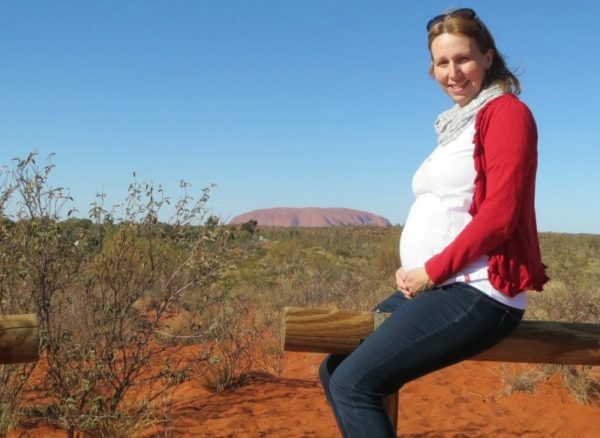 After going through a painful divorce in her early thirties, Melissa Clark from Brisbane decided she wasn’t going to let being single stop her from being a mother and conceived a daughter using a sperm donor. 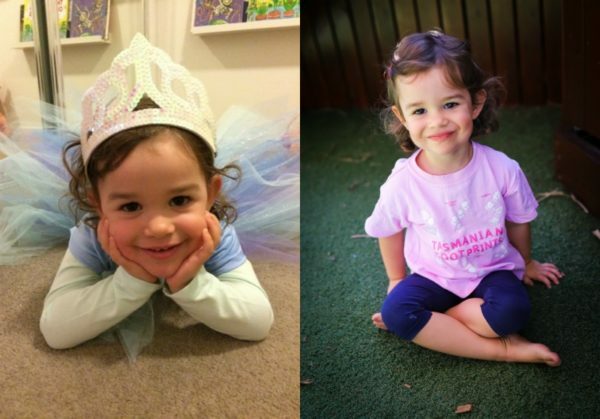 This is her heartwarming story (as told to Babyology). I’ve always wanted to be a mum. Growing up I loved playing with my dolls and took them everywhere with me. I loved my baby cousins and was always drawn to babies, I think that’s why I chose to be a teacher and in particular an early childhood teacher. But then I went through a divorce in my early thirties which was very painful. I didn’t want to miss out on being a mum just because my marriage didn’t work out, but I also didn’t want to rush any new relationships in order to have children. I was worried about how hard another failed relationship would be on everybody – especially the children. That’s when I started thinking about having a child on my own. I was 33 when I went to see Dr Watson at the Queensland Fertility Group. I talked about freezing my eggs at that first appointment as I was still not 100 percent sure I was ready to have a baby on my own. After running my fertility tests he felt I could still wait a year or two to make my decision about becoming a mother because I had a great egg count and results, so I decided not to freeze my eggs just yet. Armed with this information, I spent the next twelve months researching everything I would need to know about having a child on my own. I also discussed the idea with my family and close friends, and everyone was very encouraging and offered their help and support if I decided to embark on the journey of single parenting. After deciding I was ready to be a mum I spoke with my doctor about my desire to try and conceive naturally through IUI (artificial insemination). He advised me to select a donor from the USA where sperm donors are paid. As a result, there is a larger pool to select a high-performing donor, which would give me a higher chance of success with IUI. I got feedback from family and friends and in the end chose a donor that looked nice, read well and sounded like a good person. You receive a surprising amount of information about your child’s donor including photos of them as an adult, baby, child and teenager. You also get a detailed medical history and family medical history. I remember my sister-in-law saying to me, “I still don’t know this much information about your brother and I’ve had two children with him!” The information also includes stuff about their childhood, interests and why they chose to be a donor. I particularly liked his kind, dark brown eyes. I purchased two vials of donor sperm (still the strangest purchase I’ve put on my credit card!) with the hope of successfully conceiving via IUI even though my chances were only about 12 percent per cycle. I had no known fertility issues and just wanted to see if I could fall pregnant without having to resort to the more invasive and expensive process of IVF. In November 2014, I had my first attempt. I was a little nervous but it was similar to having a pap smear exam. Sadly, it didn’t work which was disappointing but I kept my hopes up for my next cycle. Amazingly I fell pregnant on my second attempt in December 2014. I found out two weeks after my IUI when I took a home pregnancy test on the morning of New Years Day, 2015. I told my close family and friends straight away, as they knew I was trying to conceive, and they were as thrilled as I was. My pregnancy was really straightforward with no morning sickness or complications, apart from some pelvic pain later on. I decided not to find out the gender, opting for a surprise at the birth. I attended birth classes with a close friend who was going to be my support person. This was a reminder that my path was a bit different to others as one of the first DVDs they showed us was about the important role of a father. But I still felt comfortable with my decision. At 38 weeks and six days, I went into labour. I had a close friend and a fantastic team of midwives and my obstetrician so I felt really supported. 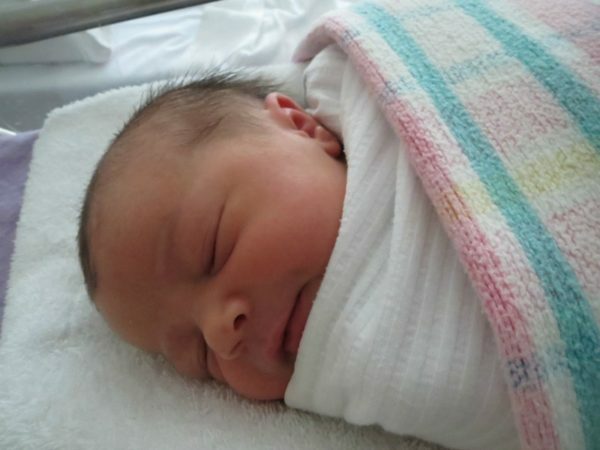 After about twenty hours of labour, my daughter was delivered naturally at 9:46pm on Thursday 3 September 2015. I named her Grace Lily and she has lovely dark hair and her donor’s eyes. She’s also inherited his blood type and his cute button nose. Grace is almost three now. I love being a mum although some days are long and exhausting and you think “what have I done!” But I talk to all sorts of parents, who have the same days and thoughts as me. It’s just part of the gig. I thought being an early childhood teacher would be an advantage when it came to being a mum, but teaching is very different from being a parent. The emotional bond you have with your child is incredible. The overwhelming love I have for Grace still makes me catch my breath. Sometimes I find myself looking at her tiny features, or hear her giggle and I am amazed I had something to do with creating this little person. Grace knows she doesn’t have a dad but a donor. I made her a simple book explaining how she came to be with help from Dr Watson and her donor. As she gets older I will explain it to her in more depth and answer her questions. She also has a photo of her donor in her playroom on her ‘family wall’ as well as photos of her donor siblings (children conceived with the same donor as Grace). She has six donor siblings that we know of – a sister in Ireland, a sister in Perth, two brothers in Canada and two brothers in the USA. We have a closed Facebook group for keeping in touch and sharing photos and stories about our children. 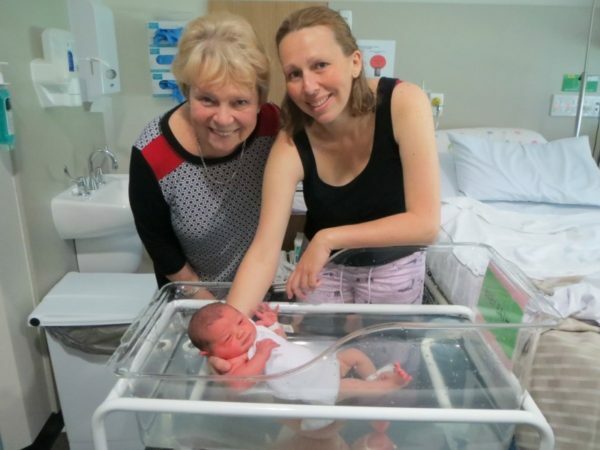 She has also met one of her donor siblings and we hope one day to travel and meet them all. It is lovely that she can have contact with her donor family in this way and once Grace is 18 she is allowed access to her donor’s identifying information and make contact if she chooses to do so. To date, I haven’t had anyone react to me in a negative way about my decision to be a single mum. Usually, people are curious and ask questions about how you go about doing that or they too know someone who has done the same. Aside from the normal parenting challenges (like breastfeeding, sleeping, teething, etc. ), I have come across some obstacles, such as filling out forms for things like Grace’s passport where they require a father’s name and details, meaning a bit more legwork. My parents are amazing, my mum helps look after Grace and my dad and three brothers all agreed to help provide her with positive male role models. My friends have been amazing as well and I have also met other mums like me (single mums by choice). We catch up and support each other through this adventure we’ve all embarked on. I think it’s important for our children to meet other families like theirs. I want Grace to feel okay about who she is and that her family is a family even though it looks different from the ‘norm’. At the start of this year, I had two IUI attempts with the same donor in the hope of having a sibling for Grace. It was unsuccessful and while another child would have been wonderful I feel so blessed to have Grace in my life. I am happy I gave it a try, especially for Grace, but feel very grateful that we have been able to make contact with her donor siblings. This makes me feel more comfortable about my decision not to try for any more children. I have Grace, our lives are good and we can go on lots of adventures together just the two of us (we are heading to the USA at the end of the year skiing and visiting Disneyland). These kinds of adventures are more affordable and manageable with just one child on your own. I would have loved more children but I feel on my own I am more than blessed with Grace. If you’re considering having a baby on your own my advice is to go ahead and try. I’m so glad I did, it’s the best thing I have ever done. In a lot of ways Grace helped to heal the sadness of my divorce and my past because if I hadn’t walked that journey, it wouldn’t have lead me to this life where I have her. I am now a mum to a beautiful, spirited, fun-loving daughter. I wouldn’t change a thing. Being a mum is the best, and if it’s something you want, don’t let being single stop you. A child needs to be loved, whether it’s by one parent or two. Surround yourself with supportive family and friends and enjoy the adventure. Did you have a baby on your own or use a sperm donor? We’d love to hear your story. Message us via Facebook.